Our main conference event targets teachers, principals and district leaders with a focus on supporting & delivering personalized instruction. Participants with a range of interests and experience may build a personalized schedule that includes sessions, simulations, playgrounds, 1:1 consultation, networking and more. In this webinar, Foundations of Makerspaces author Susan Wells walks you through a step-by-step process for getting started with Makerspaces and innovative learning spaces. She'll focus on connecting STEM and maker projects with your core curriculum. Meet some of the foremost innovation leaders and creative minds in today’s eduacational world at the 6th annual ISN Conference on Innovation. This trendsetting conference offers you a vibrant gathering of innovative thinkers and the grand opportunity to learn as well as share. Are you looking for ways to get off the infamous administrator island and learn away from your own turf? Empower the voices of those within the organization who can make a difference? Expose leadership teams to ideas and challenges? And maximize resources? Edcamps are organic, participant-driven professional development learning experiences created by leaders. All topics and discussions are generated collaboratively on the day of the event by all of the learners in attendance. Curiosity Conference 2018: the world's first conference on the intersection of artificial intelligence & education. Join world leaders, visionary technologists, policy makers, thinkers and influencers, more than 40+ speakers that has been shaping the landscape of technology, policy and products in AI and Education. As an attendee, you will experience a big bang between the world's finest thinkers and doers in education, artificial intelligence, Internet of Things, cognitive science and, learning technology; you will see a dream team assembled for thoughtfully reconciling opposing narratives of fear and hope; you will hear a man-and-machine solution framework to be catalyzed for improving the state of humanity. The AV EdTech Summit is a one-day conference for educators and administrators who are interested in learning more about educational technology practices and integration. 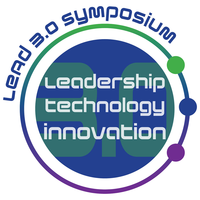 Our keynote speakers are Michael Lawrence, former CEO of CUE and current Director of Maverick Learning, and Jon Corrippo, current interim CEO of CUE and co-designer of Minarets High School in the Central Valley. There will be four break-out sessions during the day for attendees to choose from, a student showcase, and a vendor section.